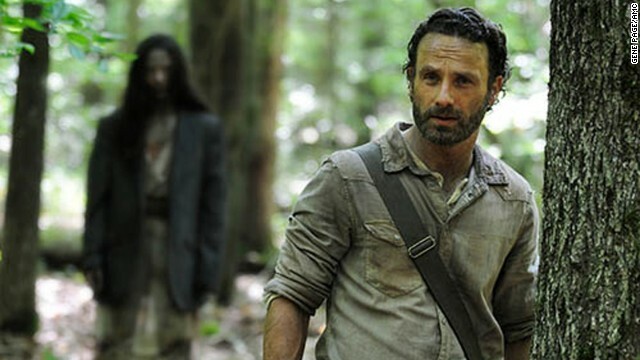 As expected, "The Walking Dead's" season four premiere totally killed off its Sunday night competition. A record 16.1 million - seriously - tuned in to AMC's zombie series, not only establishing a new high for the program but making it the No. 1 show across cable and broadcast. Speaking of fuzzy animal ears, Rihanna nuzzled a cute set while in South Africa gearing up for a concert. Isnt this show like watching the US government make changes that better the country? This is our big story about Walking Dead? Oh dear gawd, please don't get him and the others started with bowel movement "jokes." Yep, a whole lot different. It will be my pleasure to unleash my dung demons all over this story! My tur-dies smell like dead bodies!